As the scales of the labor market in 2016 tip further in favor of candidates, recruiters will be forced to search for more innovative ways of sourcing talent. At SkyWater, we specialize in four industry sectors: IT, sales and marketing, engineering & operations, and accounting and finance. Our breadth of experience and expertise means we keep our fingers on the pulse of the market and retain a competitive edge. According to The Minneapolis St Paul Business 2015 Book of Lists, we place more people full-time, permanent positions in the State of Minnesota than any other Minnesota-based search firm. Data driven hiring: Machines are better at hiring than humans, according to new research. While that headline refers to low skilled jobs, it’s true that recruitment analytics provide invaluable insight into the source of your best candidates as well as information on key metrics, such as time to hire. With increasing use of cognitive technology in talent acquisition, recruiters must take full advantage of the data and recruitment software available to them to optimize every aspect of their processes. Engaging with passive candidates: The days of posting a vacancy on your jobs page and waiting for the applications to flood in are a distant memory for most recruiters. At SkyWater, we are seeing an influx of millennials into the job market, and with them comes a different set of expectations. Generation Y expects career development opportunities and mentoring from their employers. Many of these professionals are passive, meaning that recruiters must become much more proactive to engage with them. Social recruiting expands: Social recruiting may prove to be the only way of effectively engaging with the passive talent of Generation Y and Generation Z in 2016. The most successful recruiters will already be adept at candidate sourcing on sites like Facebook and Twitter while turning their sights to Snapchat and other growing social networks to find elusive talent. Qualified tech candidates will be priceless: Demand is predicted to far outstrip supply for tech talent in 2016. The global cyber security market alone is predicted to grow by 121% in the next five years. According to a study carried out by the Washington DC based Center for Strategic and International Studies, the US is most affected by cyber-crime, which costs the average American organization $15.4 million per year (obviously slanted toward larger organizations). Specialist recruiters who can build and nurture a talent pool of tech candidates will have the edge over their competitors. Screening will become globalized: According to the Bureau of Labor Statistics, 16% of today’s workforce is foreign-born. 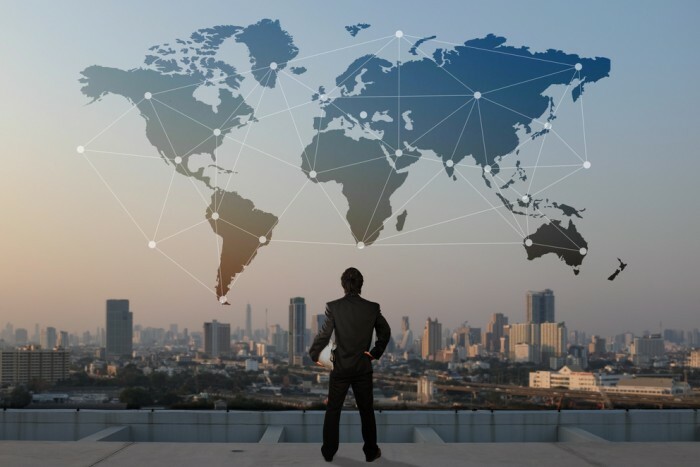 Both international and mid-sized organizations will be forced to expand their talent pool to fill skills gaps, making candidate screening a global issue for numerous recruiters. Watch out for a growing demand for ‘blind’ resumes from employers during the screening process too. It’s already begun with Deloitte. Mobile recruitment: I would go so far as to suggest that recruiters who fail to engage with mobile recruitment risk becoming also-rans in 2016. According to Pew Research Center, 40% of job seekers use their smartphone to search and apply for jobs, rising to 53% of 18-29 year olds. Candidates must be able to complete their entire application via mobile device to prevent them from abandoning the process part way through. Kurt Rakos is a founder and partner at SkyWater Search Partners. SkyWater is a "short list" search firm placing sales, marketing IT, accounting/finance, and HR personnel. The company also has a highly specialized CPG (consumer packaged goods) practice group. Kurt places mid- to executive-level talent for a wide range of companies -- from small emerging companies to the Fortune 500. SkyWater Search Partners was recognized as 'Best Places to Work' by the Minneapolis-St Paul Business Journal. Over the past decade Kurt has been viewed as an industry expert, regularly quoted on recruiting issues by such publications as the Star Tribune and Minnesota Business, as well as online publications and CBS radio. Prior to helping create and establish Skywater, Kurt co-founded Minnesota?s largest search firm, which made the "Fast 50" list of the Minneapolis - St. Paul Business Journal. Before beginning his recruiting career, Kurt held several sales, management and executive positions at a multi-billion dollar Fortune 500 company. He holds a B.S. from St. Cloud State University. In his spare time, he enjoys spending time with his wife and two children.